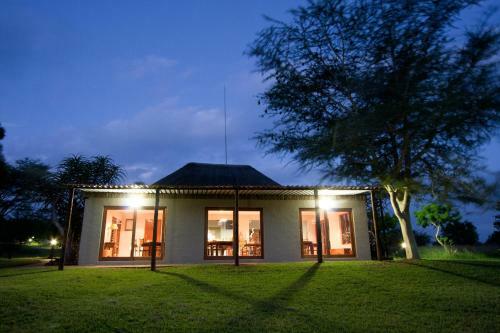 Located in the heart of Zululand this lodge offers rooms with traditional African décor . It has an outdoor swimming pool surrounded by a garden. 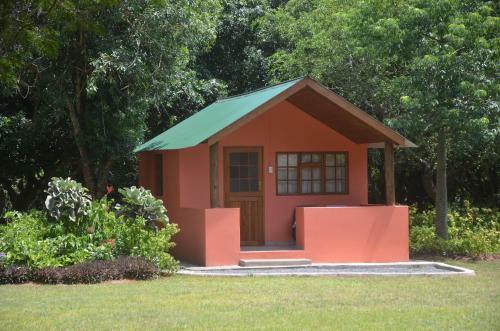 Each large air-conditioned room at the Gooderson DumaZulu Lodge & Traditional Village is decorated in orange red and brown tones and feature with straw or wooden beamed ceilings. There is safety deposit box and a tea/coffee maker. The private bathroom has a bath shower and a hairdryer. Guests of the Gooderson DumaZulu Lodge & Traditional Village can enjoy a buffet breakfast prepared with fresh seasonal ingredients. Convenient facilities at the Traditional Village include a children’s playground and a lush garden. 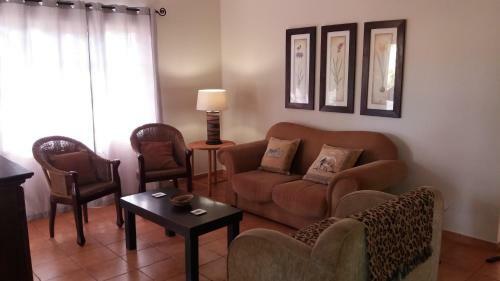 The lodge’s staff is also available to arrange day trips for guests. The DumaZulu is near the Zulu Village. 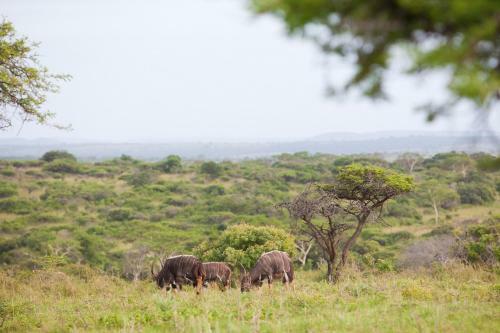 The Umfolozi Game Park where guests can enjoy open-vehicle game drives is also nearby.